It spread over a 1600 km route running from Canterbury, arrives at Dover crossing the English channel and then Calais, Reims, Besaucon and Lausanne comes to the Alps, and through the Gran San Bernardo reach Valle d’ Aosta and then Vercelli, Pavia and Piacenza. From Pontremoli continue towards Lucca , Porcari, Altopascio , Ponte a Cappiano, Fucecchio, San Gimignano , Colle Val d’ Elsa, Poggibonsi, Siena, Viterbo and at the endAbout Rome. 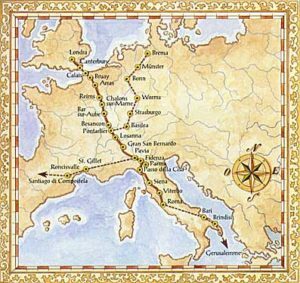 These are the locations that Sigerico crossed during 79 days of travel mostly by foot, to reach Rome from Canterbury during a pilgrimage; this route was called Via Francigena or Franchigena and it was one of the most important communication route in the European Middle Ages. 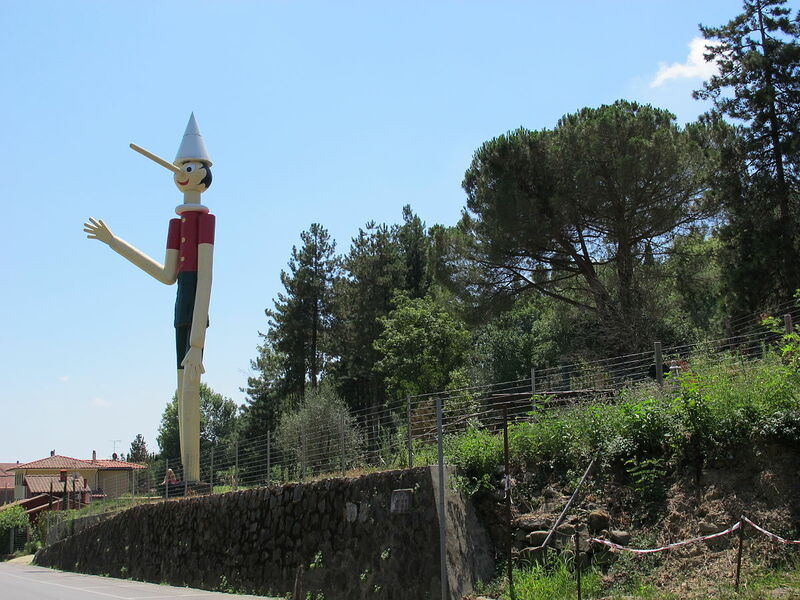 Leaving Montecatini Terme and continuing towards Pescia, we find Cozzile e Massa, the two ancient villages that give the town its name. 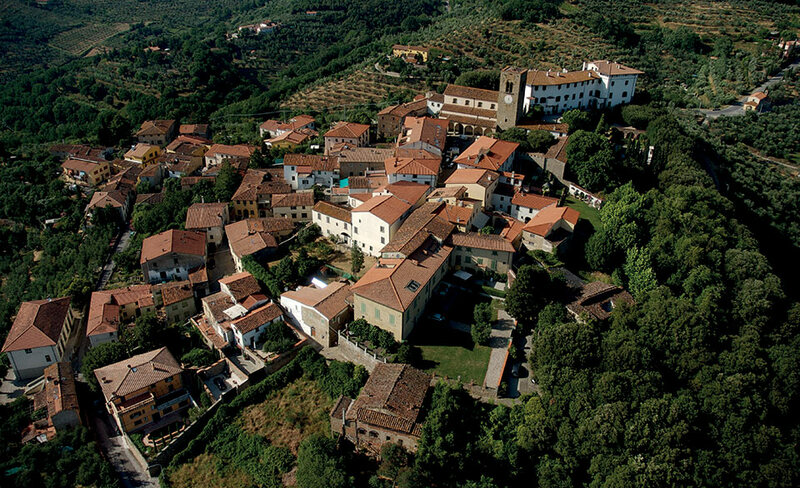 Massa, of Roman origin is one of the oldest village of the Valdinievole. It keeps bell and the parish church , as well as two doors of the ancient times. Latest Cozzile, typical for the land. 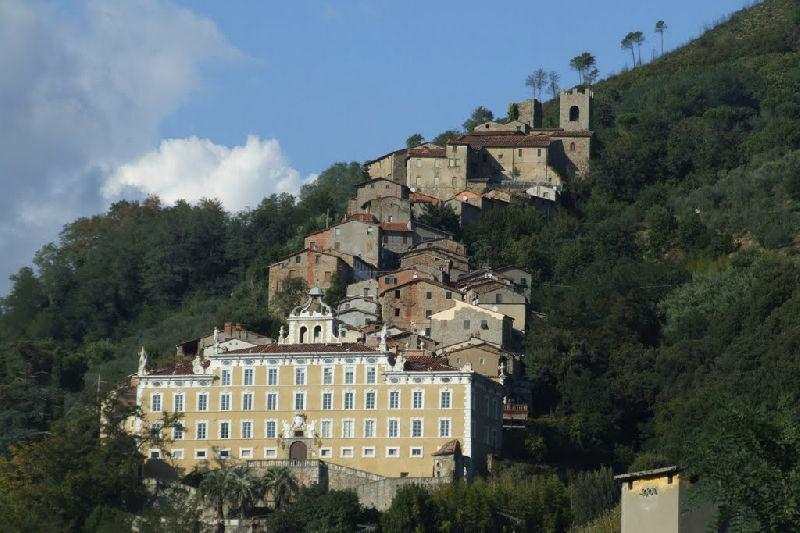 One kilometre after the town of Borgo a Buggiano, we find the villa “Bellavista”, built in 1614 and called “ the most delicious and beautiful villa in Italy after that of Caserta”, in the heart of the forest and recently restored. 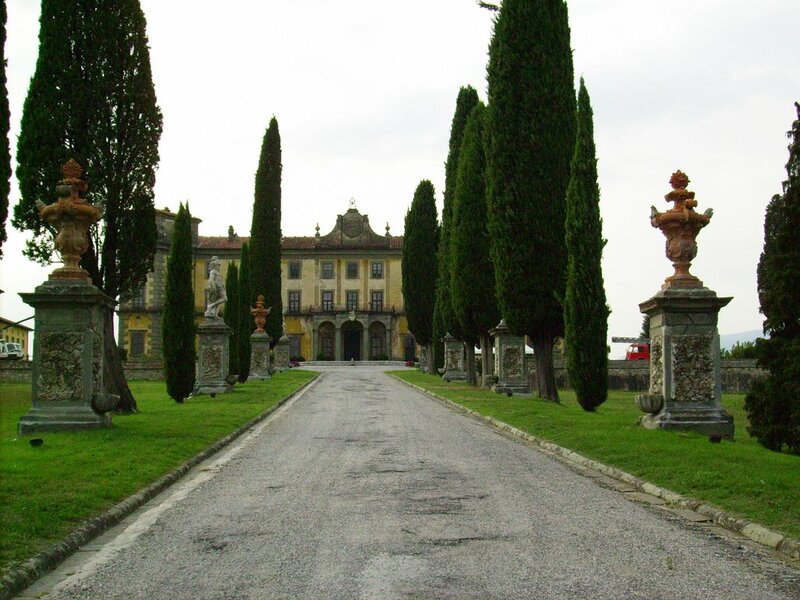 Do not miss the castle in classical Florentine style with elements taken from the Roman Baroque. 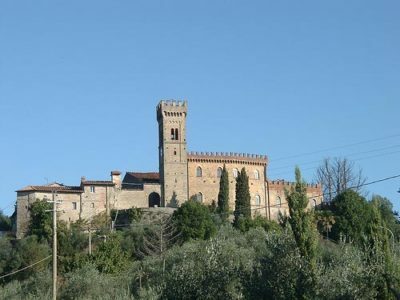 The building, restored several times during World War II , used as a hospital, now belongs at the “Opera Nazionale dei Vigili del Fuoco”. Typical in this town is Santa Maria in Selva and rhe convent of the Augustinian fathers. The Gothic church dates from the ‘200 , but has undergone several changes in the ‘ 600 . In the monastery one can admire a beautiful closter called “ Brunelleschi “ . 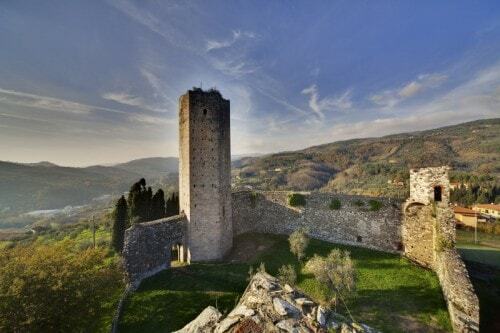 Going by the village one can reach, after few minutes, Buggiano Castello. It remains intact in its original appearance ; inside there is no shops and must be visited by foot. In the square at the top of the hill there is the ancient “Palazzo Pretorio” ( ‘200 ). Inside there are 400 frescoes . 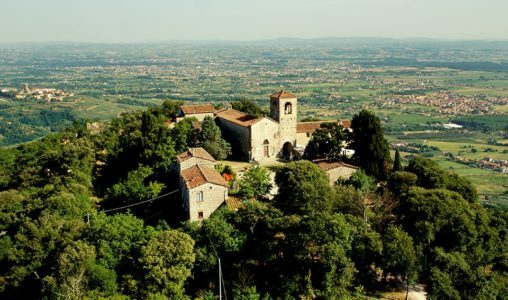 Close to the palace there is the church of San Nicola dating back to 1038 in the Romanesque style. 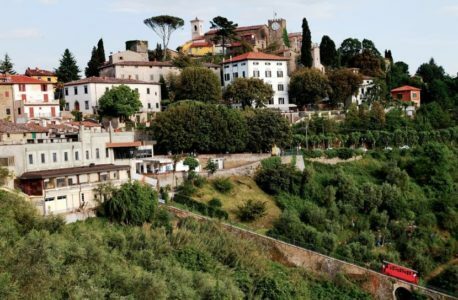 A lovely medieval town centre that one meet along the way towards the Francigena is Lucca. Buil by Charles of Bohemia in 1338 around the castle and the fortress has a fourteenth – century church and a delicious theatre. Today Lucca is famous also for the oil and wine, production that boasts on ancient origin as early as ‘300. Not far away there is a curiosity: the century old Oak, by the immense fronds. This is one of the old trees in Italy.